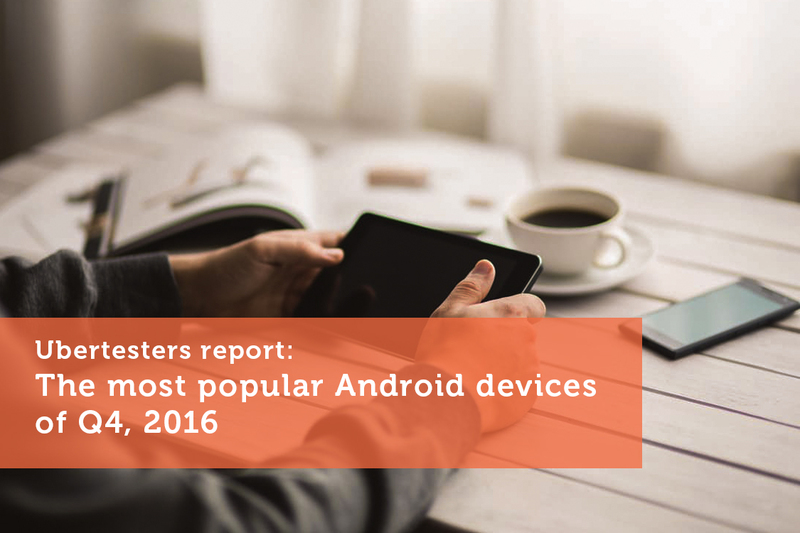 The Ubertester’s R&D team gave us an early look at their June, 2016 stat report, revealing changes within the most popular smartphones in the US and EU. 6 months have passed and it is now time to find out what changes have taken place on the markets and what devices you should request using crowdsourced testing services. The sources for the report are referenced at the end of this article. Here are some highlights from the December 2016 report. Samsung Galaxy S7 is up by 10% (both S7 and S7 Edge) compared to 7.9% last month. A 2.1% increase reflects the growing stability of their products and the finality of their new flagship on the market. 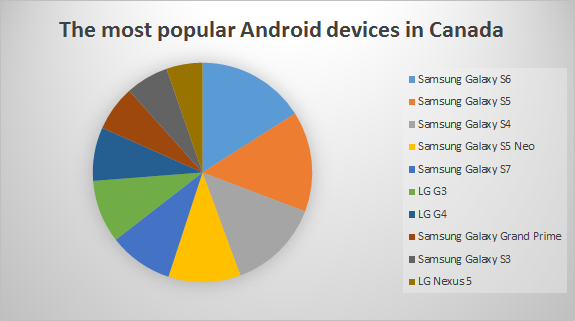 The Samsung Galaxy S family is ranked among Canadians in the top 3 as well. The LG G series is runner up and receives the silver medal. We strongly advocate adopting the G3 and G4 devices into your crowdsourcing app testing sessions. 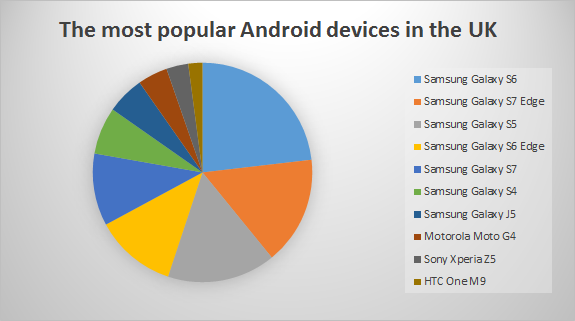 To sum up, Samsung is the dominant smartphone brand across global markets. It retains more than 50% of the global market share. Earning the silver medal with in the European and US markets is LG with their G3-G5 smartphones. This tendency is a good indicator that they are going to acquire the #2 position for the global market share within the next 2 quarters. 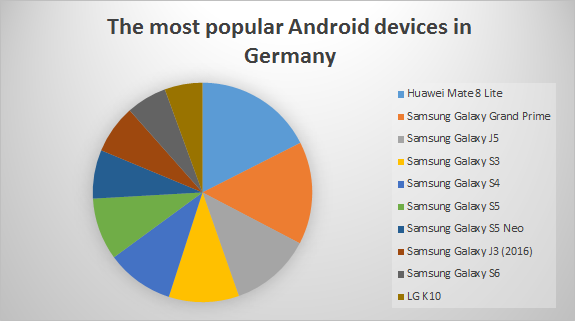 There are only a few brands competing to take home the Bronze medal, and they consist of the prospering Huawei, Motorola, HTC 10 and Sony ‘Xperia’ Z5. 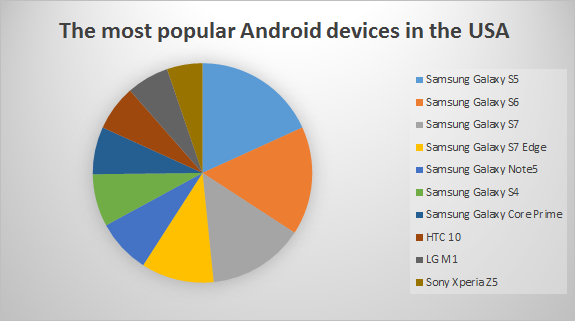 The latest stats indicate that in 2017 we should expect tremendous updates within the latest versions of their flagships. We could also forecast that the new device models manufactured by Huawei, ZTE, and OnePlus will insert themselves into the list. Only time will tell, so let’s wait and see! The Ubertesters report is based on Appbarin, Mymobo Tips, Android police and Mobile atlas information as well as inner Ubertesters data collected from devices in the mentioned regions.